Becoming a management graduate is the most popular career choice of the students. MBA is a gateway to enter the big corporate companies. Most of the companies hire MBA pass outs from various streams of Marketing, HR, Finance, Logistics, Operations, Computers, and Supply Chain Management. MBA teaches selling, marketing, recruiting the staff, handling promotions, advertising, accounting, maintaining supply chain, logistics, etc. If a student wishes to get associated with a corporate and wishes to make his career in one of these, MBA is a good choice for him. After a student finishes his MBA, a number of jobs are available for him. If you have done MBA from a known and top college or university, you don’t have to hunt the jobs as you stand a bright chance to get recruited from the campus placement itself. It is recommended that when you select your management institute, you must consider their placement record as campus placement ensures a smooth start of your career. With the growth in the number of companies, the scope of MBA has widened. 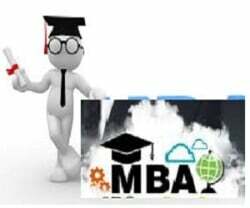 A MBA pass out will easily find job at a managerial or executive level depending on his college. If you have not been able to make it to the top college, you don’t have to get disappointed as the corporate market always welcomes a hard-working and a skilled manpower. By improving your skill set as your growing your experience, you will be able to reach to the top position in no time.